There are not enough words that can be said to the gratitude owed to an entire school community. In the fall of 2010 my family was faced with a very difficult decision. Should we pick up and leave something so familiar for something exciting, scary, and full of opportunity at the same time? In making that decision we endured many sleepless nights, and showered many tears. But eventually, we did decide to move and start a new chapter for our lives. We were welcomed into the communities with open arms. The support that has been bestowed upon my family and I will forever be in our hearts. I’ve personally never felt more supported and loved in my entire life than I have these last five years at Griggs County Central. I’ve said a number of times over that the world is a beautiful place and positivity is all around us. You don’t have to look much further than the communities of Cooperstown and Hannaford to be reminded of this. If the saying is true that North Dakota is God’s country, then I must say that Griggs County is God’s living room. I believe that God has a plan for all of us. I believe he put us in Cooperstown for a reason. I know that I have grown greatly through the relationships and experiences that have presented themselves. I would also like to think the communities have benefit in some way, shape, or form from us as well. Over the past years since I’ve begun writing blogs on a consistent basis, it’s been primarily on the premise of trying to inspire others. I’ve had many sleepless nights racking my brain on what more I could be doing to impact the world in a positive way. How can I show people that the world is a positive place? How can I inspire people to inspire others? How can we get people to think better and do better to ultimately make the world a better place? So I have taken to writing, and more importantly I have tried to turn my writing into action. This has lead me on a journey to make a concerted effort to bring out the best in people, and with that to bring out the best in myself. I truly believe that I was called to the field of education, and have no doubts that I’m fulfilling God’s plan for me. With that being said, about a month ago I applied for the Superintendent position at Shiloh Christian School in Bismarck. The position appealed to me because of the long standing tradition of education excellence founded and supported by Christian principles. The opportunity to move closer to family, and the opportunities that my own children would have were also ideals that pulled us in that direction. I believe in my heart that this is the right decision for us. I see the Shiloh district as an opportunity for our family to grow in our faith, and enrich the lives of others. 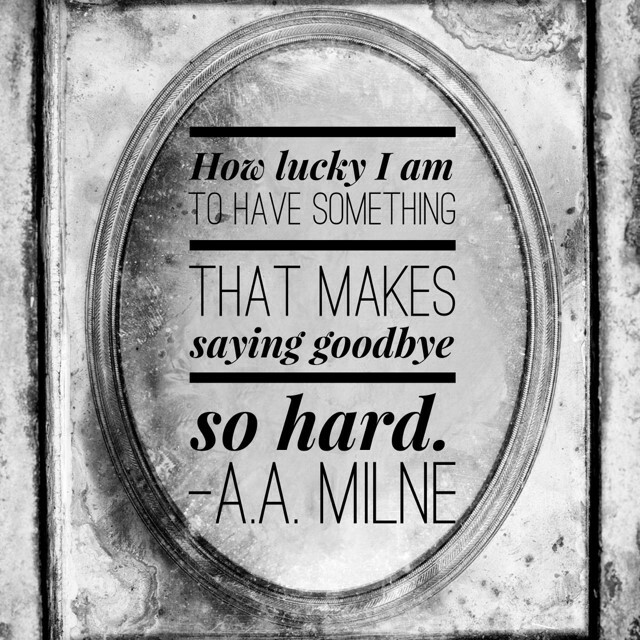 Goodbyes are never easy, and I have so many people to thank for the support over these past five years. Naming every individual that has touched our lives would be a cumbersome task. A genuine thank you to the education community is in order. I could not ask for better colleagues. We have surrounded ourselves in a vision and mission to improve the lives of our students and I believe whole-heatedly that we are succeeding. Thank you to the students, parents, and community members for being part of my professional growth as an educator. I would not be where I am today without each and every one of you. On July 1st I will be transitioning to the Shiloh Christian School District. We are excited for the opportunity, and sad for what we are leaving behind. The relationships that we created will last forever, and forever I will be indebted to the Griggs County Central communities for enriching our lives.